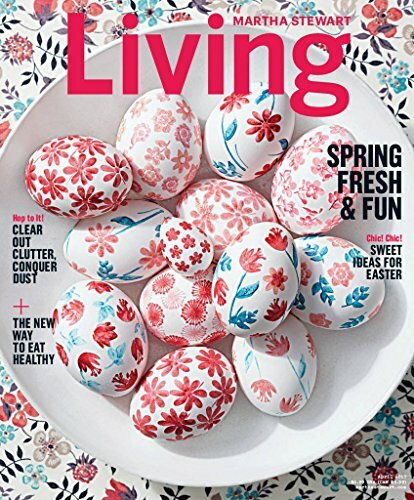 Since it’s grilling season, I wanted to once again publish the recipe for Soy-Lemon Flank Steak with Arugula, from the May 2014 issue of Martha Stewart Living that they gave me permission to share with you all. It’s an ideal recipe for busy people who are budget minded, because flank steak is a fairly economical cut of beef and it grills up in no time. 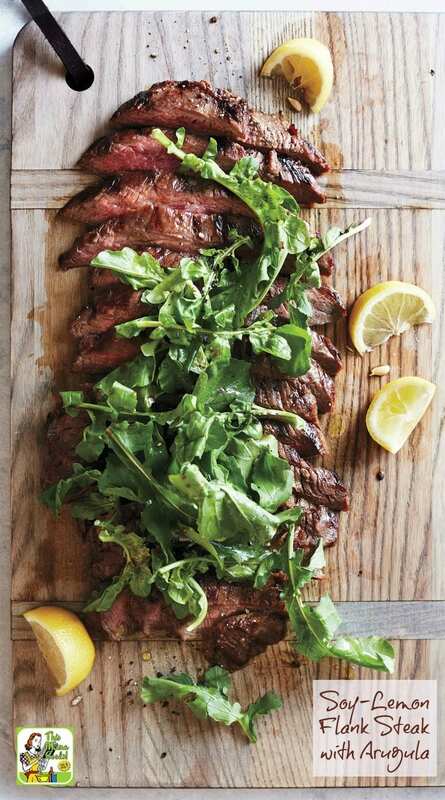 Plus, this Soy-Lemon Flank Steak with Arugula recipe is so easy to prepare with just a minimum of planning. Get the beef marinating in the refrigerator before you head off for work in the morning. Then bring the flank steak up to room temperature when you get home. I know the Soy-Lemon Flank Steak with Arugula recipe says only to marinate it for only six hours, but I don’t see how doing so for a few hours more would be too much of a big deal. If you think the soy-lemon marinade would over flavor the meat, add 1/2 cup of water to the marinade to dilute it a bit. You can also marinate the flank steak for just an hour, too, according to the directions from Martha Stewart Living. So if you’re in a rush and didn’t have time in the morning, when you get home from work, make up the marinate quickly and get the flank steak into a baggie or bowl. Then change out of your work clothes and cook up your side dishes, such as Wine and Rosemary Quinoa. Grilled corn on the cob would be wonderful, too! Prepare a fresh side salad. Make up a few cocktails and set the table. That should take up an hour, right? 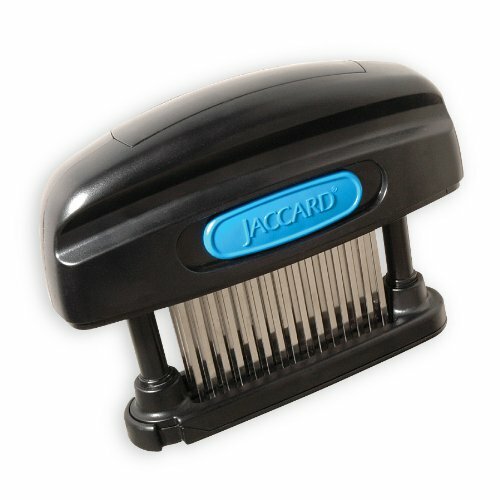 Many of my readers have bought the Supertendermatic and emailed to tell me that they love it! You can use it on chicken breasts and when making carne asada, too. 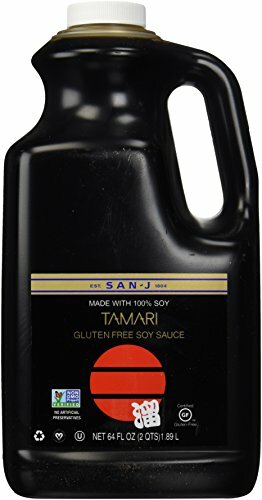 If you are gluten free, use tamari sauce instead of soy sauce. If you're on a low salt diet, look for the lower salt versions. 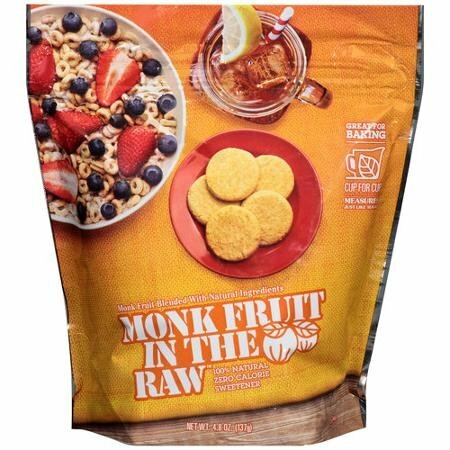 If you want to make the marinade sugar free, substitute 1 3/4 tablespoons monk fruit (I like using Sugar in the Raw Monk Fruit) and 1/4 tablespoon all natural, unsulphured molasses for the light brown sugar. 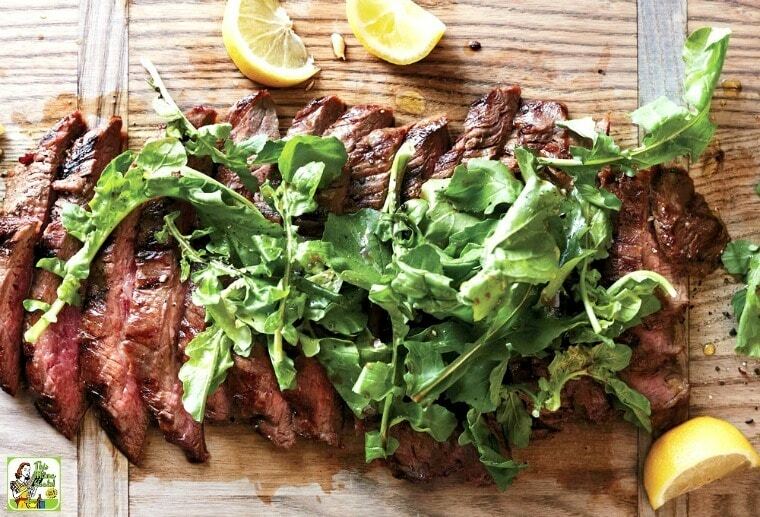 Want to make Soy-Lemon Flank Steak with Arugula for a backyard barbecue party? Just triple the recipe! Whisk together oil, soy sauce, lemon juice, brown sugar, and garlic in a bowl. Place flank steak inside a gallon-size resealable plastic bag. Add marinade, press out excess air, and seal. Let stand, turning bag occasionally, at least 1 hour at room temperature, or up to 6 hours in refrigerator (if refrigerating, let come to room temperature before grilling). Heat grill to medium-high. 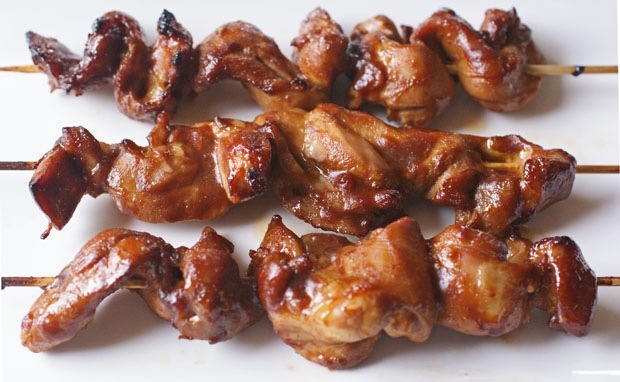 Remove meat from marinade, reserving marinade, and pat off excess with paper towels. Grill, uncovered, turning once, until a thermometer inserted into thickest part registers 130 degrees for medium-rare, about 5 minutes on each side. Transfer to a cutting board and let stand 10 minutes. Meanwhile, transfer marinade to a small saucepan and bring to a boil. Remove from heat. 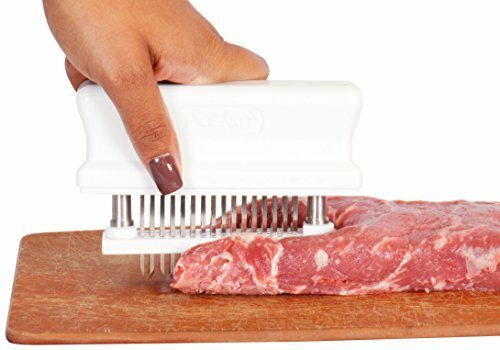 Slice meat against the grain and arrange on a platter. Arrange arugula on top; season with salt and pepper. Drizzle 1 to 2 tablespoons sauce over meat and arugula. 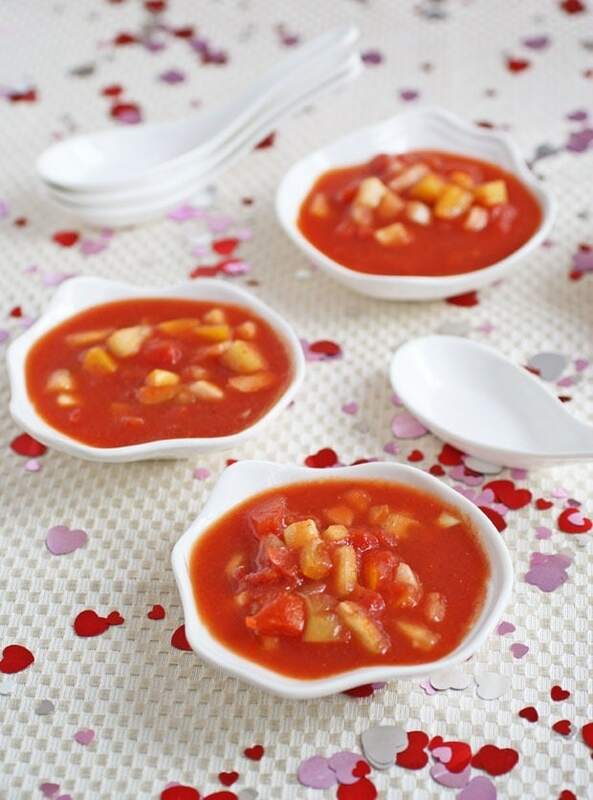 Serve with remaining sauce and lemon wedges. Originally published May 13, 2014. Updated with new pictures. Recipe and image used with permission. Photography by Ryan Liebe. Posted in Gluten Free, Recipes and tagged beef, grilling and smoking, party food on May 19, 2016 by Anne-Marie Nichols. Great photos! I definitely know what I will be grilling this weekend. Made this for a sunday lunch, in-laws, kids and all. Everyone came for seconds, including mother-in-law and kids.